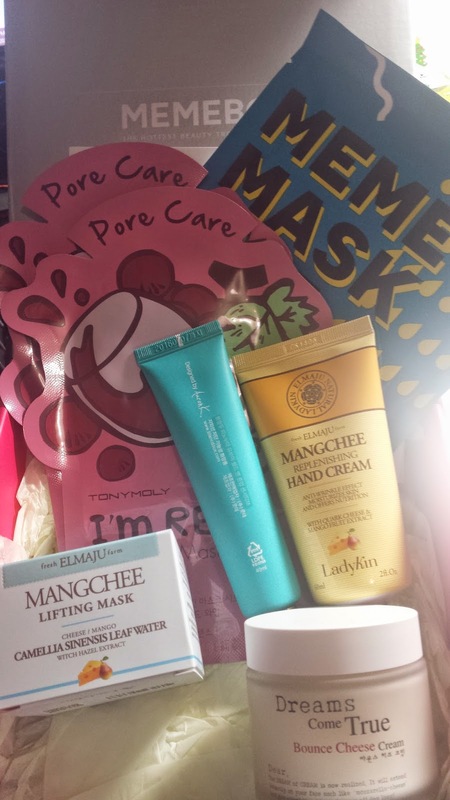 The box which I have been looking forward to was this one! Even after a lot of delays and issues with products, i finally got it! 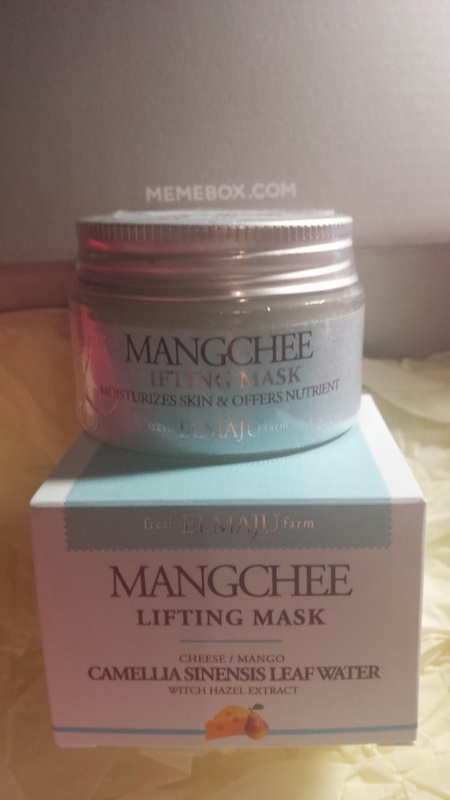 Full size lifting mask that helps moisturise, restore and replenish! Mango cheese hehehe this must smell nice! This costs US $43. Another Mangchee omo!!! 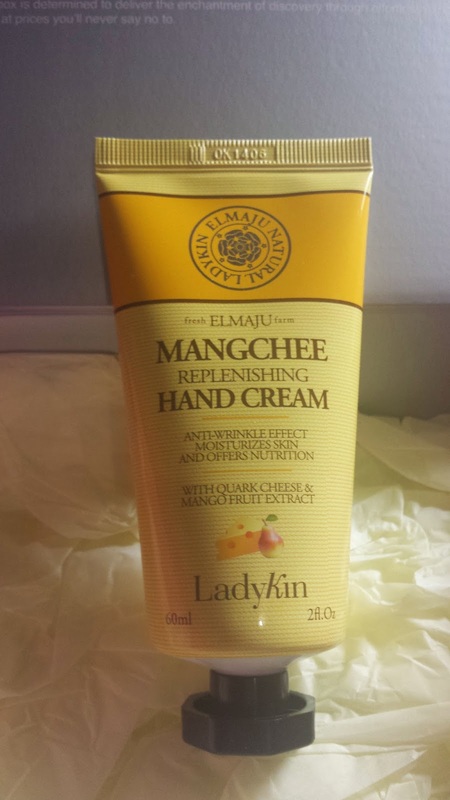 This stuff is addictive :P This time a hand cream ^_^ I really like this!! This sells for US $14. 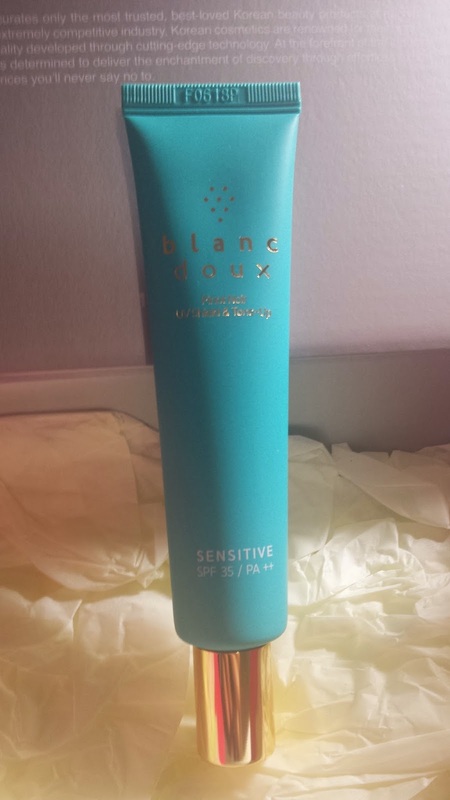 Haha wine sunblock which is perfect for sensitive skin. This is actually a sunblock makeup base for you before applying foundation. This costs US $36. This is what everyone was waiting for! 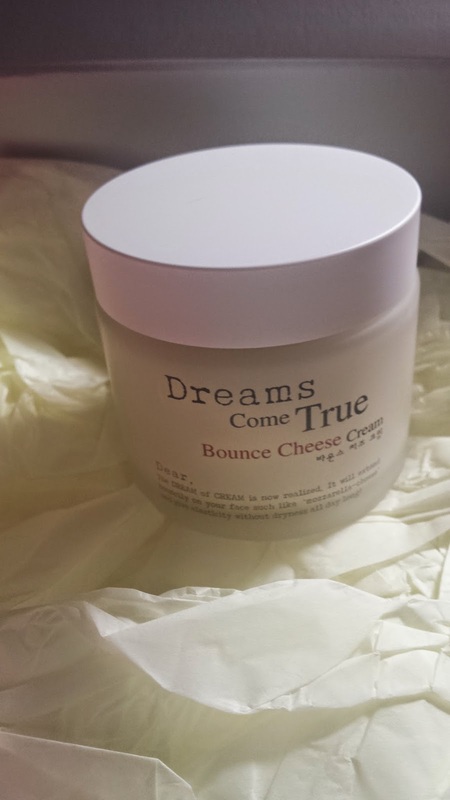 The cheese cream which definitely one of memebox's favourite product! So unique and fun!! This is a full size 30ml jar which costs US $35. Just used one of these and there is a really strong red wine smell! Hmm would say it's okk..not sure if it really helped my pores though.... This costs US $2. 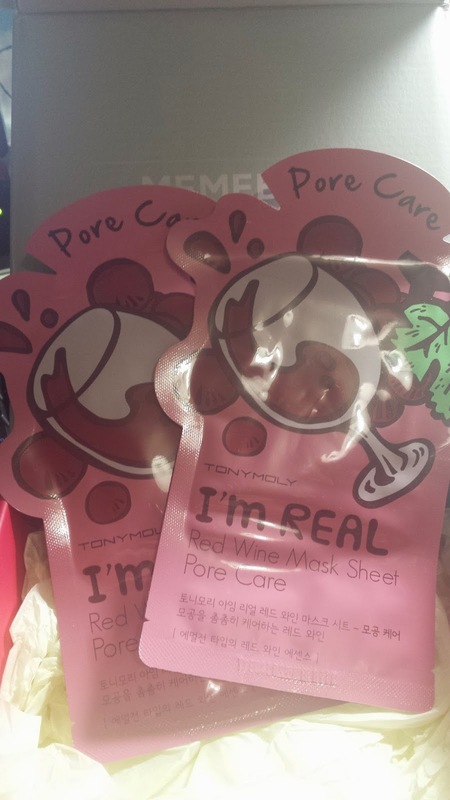 So instead of the Innisfree Wine Peeling Jelly Softener , they gave out a meme mask instead. 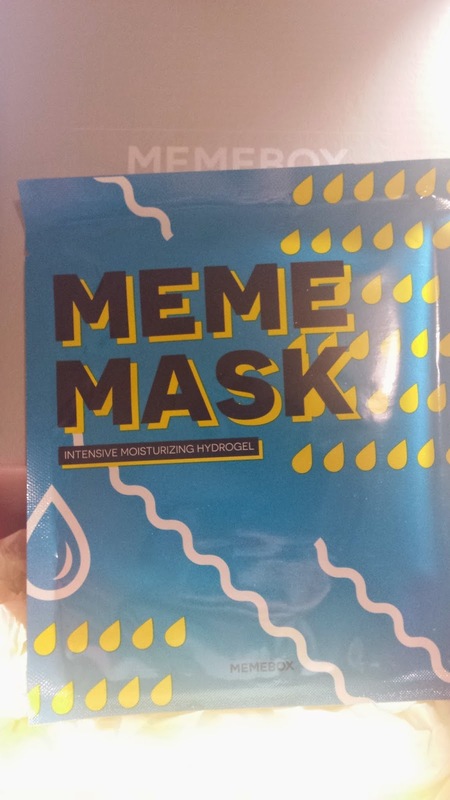 This will be my first time using a meme products, so will be interesting to see how this goes. Not sure how much this is worth. 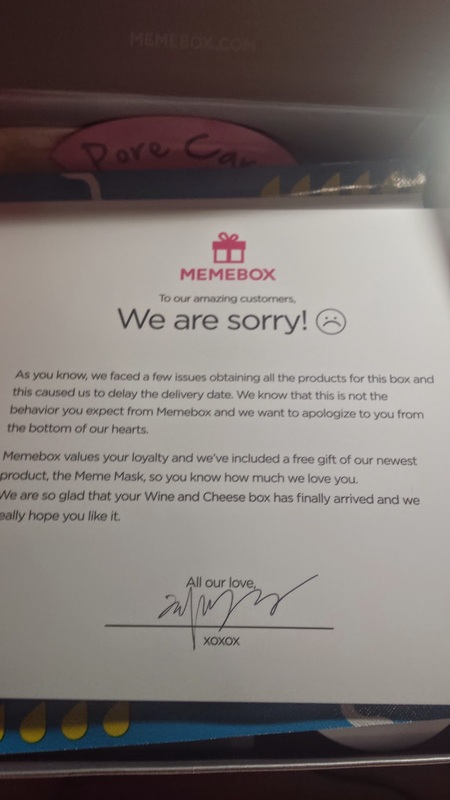 Despite all the issues, i think memebox handled it very well. They kept emailing us with the update and gave us the opportunity to cancel the order too. This box was actually quite good in the end :) I love it!